Sandalwood actor Yash's birthday is celebrated on January 8, and the actor now turns 33 years old. 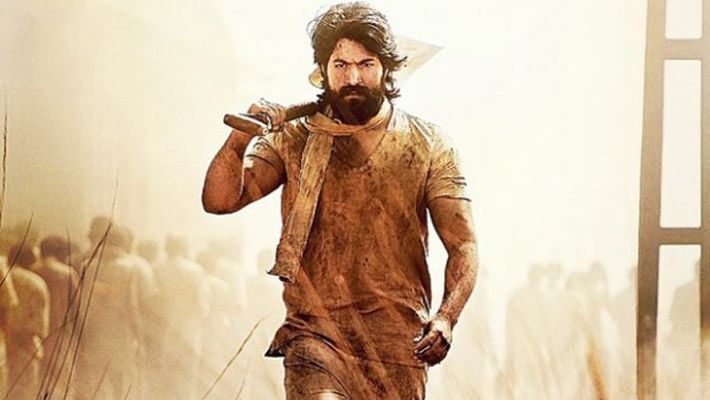 The film KGF, starring Sandalwood's Rocking star Yash released in five languages on December 21. According to reports, the film was screened in 1,800 to 2,000 screens in five languages (Kannada, Tamil, Telugu, Malayalam and Hindi) across India. The Kannada version alone was shown in 350 theatres. This film released on December 20 in the US and Canada, and on December 21 in India. The budget for this film was Rs 80 crores making it the Sandalwood film with the highest budget yet. Yash, the 33-year-old actor whose birthday is on January 7, decided to stay away from celebrating his birthday as a mark of respect for yesteryear hero Ambareesh, who passed away recently. While memories of the legendary late actor’s works and life still linger in our thoughts and hearts, we remember the Yash’s top 5 movies in Sandalwood on his birthday. This film released on July 19, 2013 and earned more than Rs 1 crore on the first day and more than Rs 4 crore within the first four days of its release and Rs 9 crore overall in the South. Released on May 23, 2014, the film was made with a budget of Rs 4 crore and the film made a whopping Rs 30 Crore. The film featured Yash, Amulya, Anant Nag and Shahbaz Khan and was directed by Krishna under Jayanna Combines production company. This Kannada romantic drama film starring Yash and Radhika Pandit was written and directed by Santhosh Ananddram and produced by Jayanna and Bhogendra under the banner Jayanna Combines. The budget for this film was Rs 6 crore, and the movie made Rs 50 crore in the box office. This Kannada comedy film, directed by Pradeep Raj, starring Yash and Oviya in the lead roles, is a remake of the Tamil film "Kalavani (2010)". The film was a success at the domestic box-office and was the 3000th Kannada movie to be released. This Indian Kannada-language period action film was written and directed by Prashanth Neel and produced by Vijay Kiragandur under the banner Hombale films. After a premiere in North America on 20 December 2018, the movie was released in Kannada and in dubbed versions of Tamil, Hindi, Malayalam and Telugu languages the following day, and received positive response from audiences.